Nine intersections. 19,500 cyclists. Nine hours. All in a city considered as a model for many urban planners. 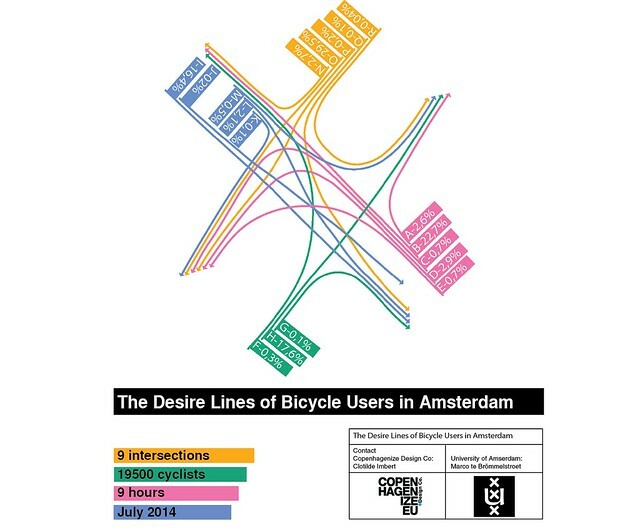 The Copenhagenize Design Company Desire Lines analysis tool headed south to Amsterdam to study bicycle user behaviour and how it interacts with - or is affected by - urban infrastructure. In ca lose collaboration between Copenhagenize Design Co. and The University of Amsterdam in the guise of Marco te Brömmelstroet - and for the City of Amsterdam - nine intersections in the city were filmed during the morning rush hour in order to complete the world's largest study of bicycle user behaviour. We're pleased to reveal the results of our study and showcase some of the data, analyses and desire line maps. 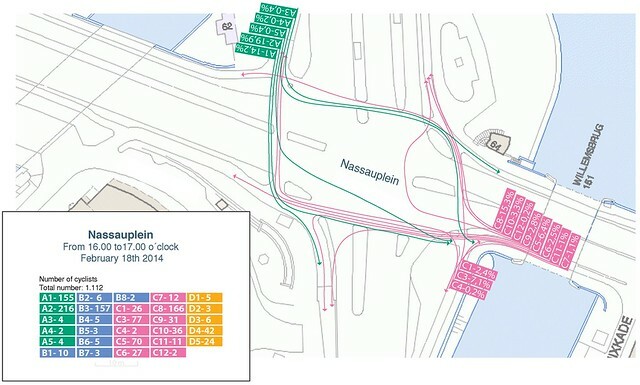 The bicycle infrastructure in the City of Amsterdam is rather different from the typology used in Copenhagen ,where we did the first anthropological studies of the cyclists - The Choregraphy of an Urban Intersection, and others. It was therefore interesting for us to observe the trajectories and behavioiur of Dutch cyclists crossing over-crowded intersections. The Desire Lines are more numerous and more complex, while in Copenhagen, the vast majority of bicycle users stick to the rules and react positively to the infrastructure which is more uniform and simplified. It has been fascinating for us to be able to compare the two cities, as well. Do we really have the World's Best Behaved Cyclists in Copenhagen or can the Dutch compete with that? The behaviour of Amsterdam cyclists is a recurring theme in public debate in that city. 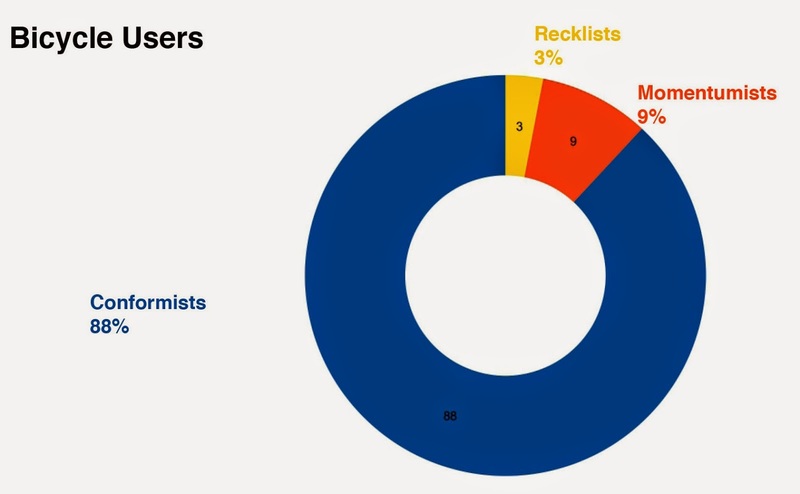 In many of these discussions, the majority of cyclists are deemed to display a strongly anarchistic attitude – e.g. ignoring red lights, cutting corners, etc. Our Desire Lines tool is the perfect way to figure out if these perceptions are true or false and to feed the debate with precise data. The study demonstrates how the cyclists respect the infrastructure as well as exploring whether or not the infrastructure fits the behaviour of the cyclists and whether there is room for improvement. In our study we address the general research question: How do Amsterdam cyclists interact with design, each other and other road users and how do they experience it all? 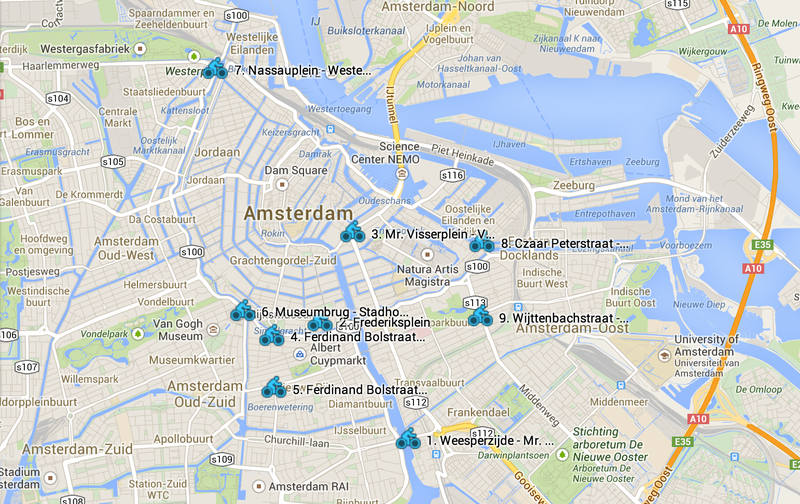 Nine intersections were allocated to a group of three first-year sociology students from the University of Amsterdam. They used our tried and tested methodology called the “Desire Lines Analysis Tool” and filmed the intersections. Then they went to work counting the cyclists and observing/studying the behaviour. In addition, the students conducted some interviews to gain insight into the experiences and emotions of cyclists at these intersections. Cyclists were classified as Conformists, Momentumists and Recklists - as they always are in our Desire Lines studies. 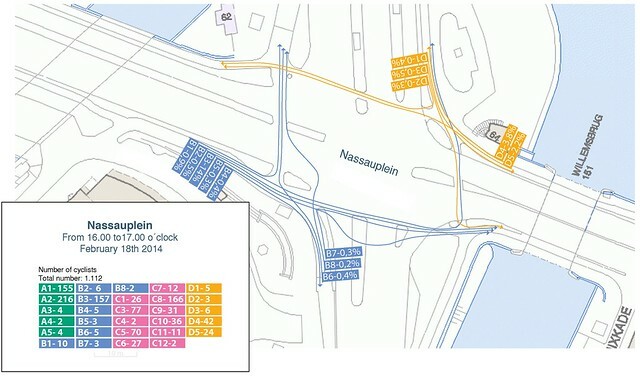 Here are the data collected at the intersection named Nassauplein (mapping of the trajectories of the cyclists + classification of the cyclists). To read about the eight other intersections, you're welcome to download the full report here - - it's a pdf and it is 10 mb. Generally, the outcome of the Desire Lines Analysis suggest that the infrastructure at these crossings is under severe pressure by the sheer number of cyclists in peak hour traffic. As a result, the limitations of these infrastructure are challenged every day by the users. Cyclists are more likely to bend traffic rules when the intersection is crowded. They are then almost “forced” to bend the rules. This rule bending behaviour often resolves apparent capacity problems or repairs ineffective right-of-way situations. 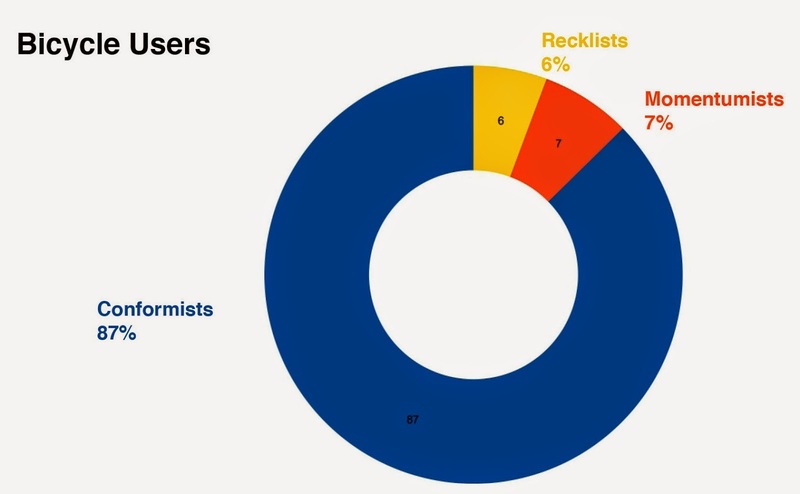 With this analysis we have developed a quite substantive set of systematised knowledge on cyclists’ behaviour in Amsterdam. There is a need to look at these crossings with these insights to develop design solutions that meet this new reality, in which cyclists are the dominant mode. Despite the impressive level of bicycle infrastructure, cyclists - and pedestrians - are still subject to an all-dominant car-centric traffic planning culture inherited from the previous century. Even in the amazing bicycle city that is Amsterdam, cyclists are second-class citizens squeezed into another traffic culture and - like Copenhagen - not enough is being done to accommodate their mode of transport. A radical change of mentality in bicycle planning is long overdue.